Q: Any recommendations for movies similar to 'All is Lost'? 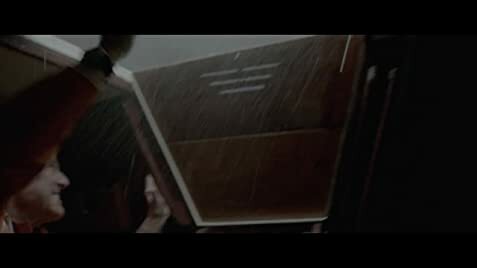 Q: Is 'All is Lost' based on a book? Q: What is 'All is Lost' about? A man (Robert Redford) is sailing alone in his yacht but during the night, his vessel collides with a container adrift on the sea while he sleeps. The yacht is flooded and she loses her navigation and communication equipment and heads to a violent storm. When the yacht sinks, the sailor embarks in the liferaft that is carried adrift by the currents to a shipping lane. His fight for survival begins. "All Is Lost" tells the story of a skilled sailor fighting to survive stranded in the high sea. 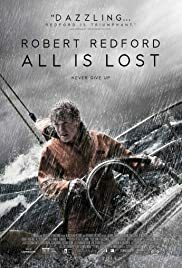 Robert Redford has stunning performance, the cinematography is impressive but the writer is lazy and should have researched more about navigation and lifesaving procedures. In addition, there is no character development and the viewer never knows what the man is doing in the Indian Ocean. Vessels have bilge pumps and EPIRB and pleasure yachts usually have also portable bilge pumps. Robert Redford is shaved all the time and never wears lifejacket or immersion suit or even a hat to protect from the sun, maybe because he is the star of the movie and needs to show his face. The inflatable liferaft does not seem to have the usual survival equipment and the sailor does not have a survival kit ready on board for emergency situations. But despite the flaws, "All Is Lost" is not a bad movie. My vote is seven.